DO NOT CLICK THE ATTACHMENT IN THE EMAIL. If you did click the attachment in the email, DO NOT enter your details on the page. Instead, please close the attachment and run a full antivirus scan of your machine. What happens if I clicked the attachment and entered my details? Change your password immediately on a device that you know to be free of malware and infection. Send an email to the UCT Cybersecurity Incident Response Team informing them that your details were compromised, but that you have changed your password. Don't ever reply to emails that request personal information – especially usernames and passwords. NEVER share your password with anyone – not even an ICTS representative. Do not open attachments unless you can verify the sender and the nature of the attachment. Don't open emails of unknown origin. Don't click on links in emails if you cannot recognise where the link directs you. Don't reply to spammers asking them to remove you from their mailing list. Replying just confirms your email address as valid, which encourages them to send you more spam. Don't forward chain letters or marketing material. Report any incidence of this or other phishing attacks of cyber security issues to the UCT CSIRT at csirt@uct.ac.za. You can also report any other cybersecurity issues to the same address. Over the next few days, ICTS will be upgrading the McAfee security products for machines that connect to the UCT network. The upgrades will bring your software up to the latest available versions. From Tuesday, 15 May 2018: The McAfee agent for Windows, Linux and macOS will be upgraded. From Wednesday, 16 May 2018: The latest versions of the Endpoint Protection products for Windows and Linux will be upgraded. McAfee has not yet released an update for macOS. 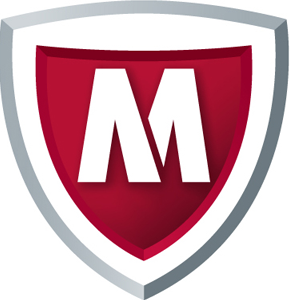 During this upgrade, you may see two McAfee shield icons appear. The old icon will be replaced by this new icon . Open Chrome, Internet Explorer or Firefox and enable the new Endpoint Security add-ons when prompted to do so. We recommend that you enable these add-ons as they will provide you with an extra layer of security when browsing the internet. The home editions for Windows and Linux will be available on the ICTS Downloads section from Friday, 18 May 2018. To keep your machine secure, please download these updates as soon as they become available. While the anti-virus solution updates will enhance your level of protection, remember that you are personally responsible for keeping your machine secure, so please remain vigilant against security threats. We are aware of a new phishing attack currently doing the rounds on campus. 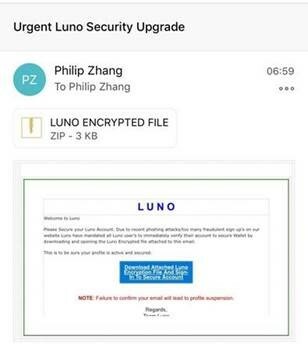 This attack, which contains a malicious link, specifically targets staff and student email accounts with a message such as this one.